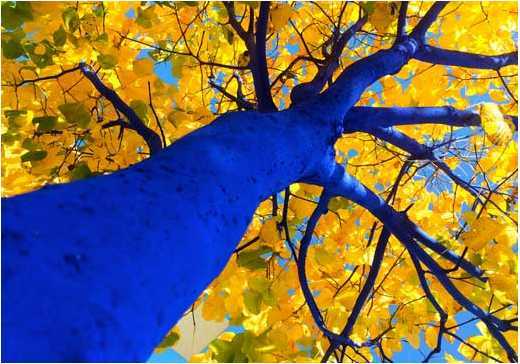 Public Art Chattanooga is bringing Konstantin Dimopoulos and his artwork, “The Blue Trees” to Chattanooga this fall. Over the course of his 6 week residency, the artist will enlist the community to install the environmental artwork in various locations throughout the city and partner with local organizations on educational programs and celebratory events. 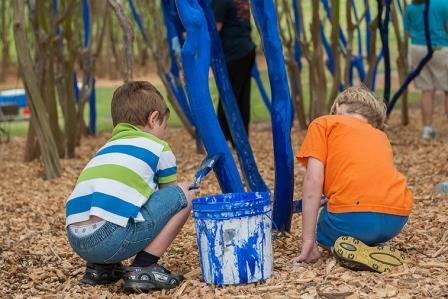 The Blue Trees is an environmental art installation that brings together environmental consciousness and social action. By bringing the community together to color trees throughout our city and our neighborhoods the artists transforms the way we view trees and our outdoor spaces ?raising awareness of how individually and collectively we shape the world we inhabit. Organic and ephemeral, the artwork changes through the cycles of nature and the color gradually fades away over the course of a year. If you are interested in attending events or volunteering to assist the artist in coloring The Blue Trees, register here. Join us at the Hunter Museum to learn more about the artist and the schedule of installations and programs. Meet the artist and register to be a part of coloring “The Blue Trees” in Chattanooga! Sign up for this volunteer opportunity to help the artist install the environmental artwork on Riverfront Parkway. Sign up for this volunteer opportunity to help the artist paint saplings at Sculpture Fields that will be planted in Chattanooga neighborhoods in need of trees. Stay afterwards to enjoy Sculpture Fields, eat at food trucks and play in the park. Sign up for this volunteer opportunity to help the artist install the environmental artwork at Bessie Smith Cultural Center. Enjoy The Blue Trees – MLK Neighborhood Celelbration, listen to blues music, eat at food trucks, explore local businesses and play on the BSCC lawn. MLK Blvd. Celebration with Blues Music, Artist talk, educational programming, sustainability and tree care demos.